6,000sf Retail Building Shell and Site Work. Tenants include Pacific Dental. The project is located at 6455 N. Wickham Rd. in Melbourne, Florida. 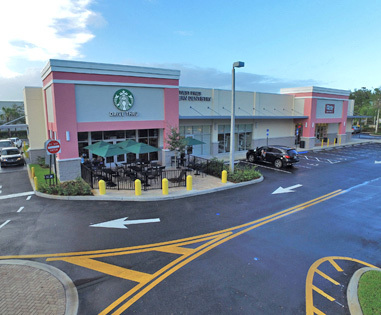 12,500sf Retail Building anchored by Starbucks Coffee, O’Reilly Auto Parts, and Pacific Dental located near the corner of Pines Blvd. and SW 184th Ave. in Pembroke Pines, Florida. 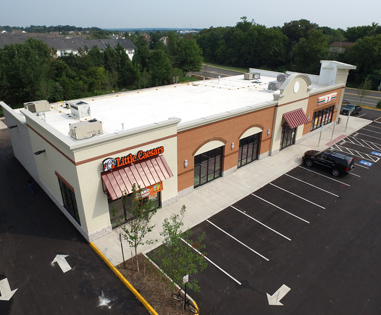 9,900sf Retail building anchored by 7-Eleven and Little Caesars located on the corner of Sudley Manor Dr. and Williamson Blvd. in Manassas, Virginia. 5,500sf Retail Building anchored by 7-Eleven, with gas, and Avail Vapor, located on the corner of South Blvd. and Sharon Rd. in Charlotte, North Carolina. 5,000sf Retail Building leased by USPS located on the corner of N. Wendover Rd. and Beal St. in Charlotte, North Carolina. 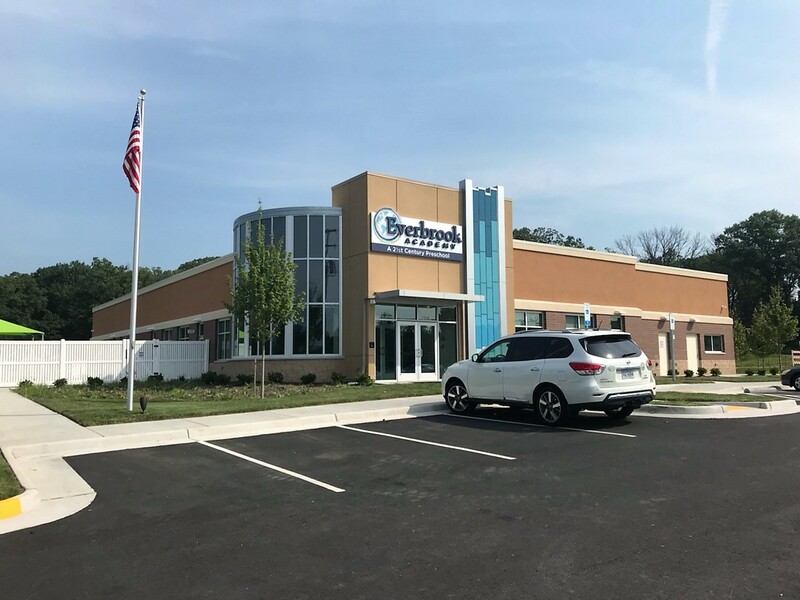 10,000sf Retail Building located on the corner of Ashton Ave. and Lomond Dr. in Manassas, Virginia. 11,000 SF Childcare/School Facility, Located on the corner of Chapel Springs Rd. and Bristow Rd. in Bristow, Virginia. Freestanding Walgreens Drugstore, Build to Suit, located on the corner of Folly Rd. and Camp Rd. in James Island, South Carolina. Freestanding Walgreens Drug Store, Build to Suit, located on Highway 19 (Andrews Rd.) and Pleasant Valley Rd. in Murphy, North Carolina. Freestanding Walgreens Drug Store, Build to Suit, located on the corner of Pines Blvd. and SW 184th Ave. in Pembroke Pines, Florida. Freestanding Walgreens Drug Store, Build to Suit, located on the corner of Steele Creek Rd. and Dixie River Rd. in Charlotte, North Carolina. Freestanding Walgreens Drug Store, Build to suit, located on the corner of S. Irby St. and Cherokee Rd. in Florence, South Carolina. Freestanding Walgreens Drugstore, Build to Suit, located on the corner of Broad St. and Pouncey Tract Rd., Richmond Virginia. Freestanding Walgreens Drugstore, Build to Suit, located on the corner of Landover Rd. and Kilmer Rd. in Cheverly, Maryland. Freestanding Walgreens Drugstore, Build to Suit, located on the corner of Richmond Hwy and Lorton Rd. in Lorton, Virginia. Freestanding Walgreens Drugstore, Build to Suit, located on the corner of Race Track Rd. and Annapolis Rd. in Bowie, Maryland. 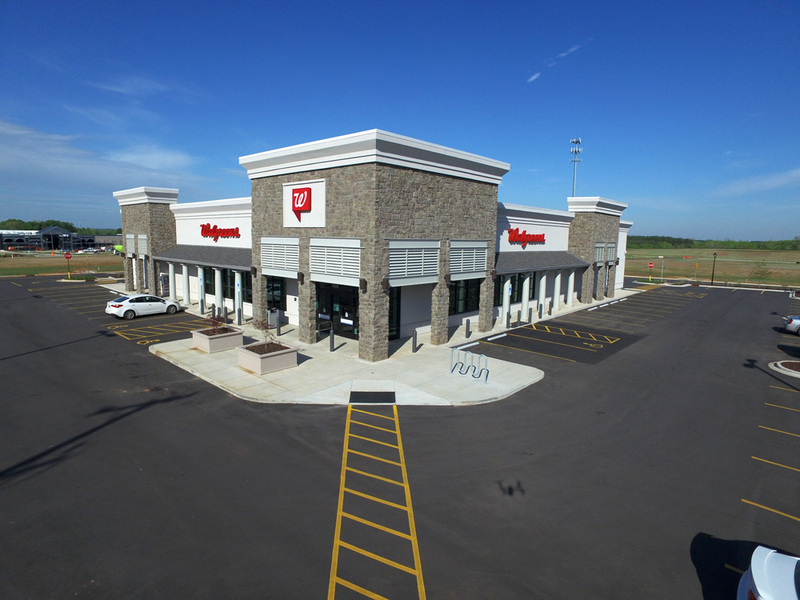 Freestanding Walgreens Drugstore, Build to Suit, located on the corner of Johnston Rd. (521) and Pineville Matthews Road. (51) in Charlotte, North Carolina. 7-Eleven convenience store with gas and additional retail space, Build to Suit, located on the corner of South Blvd. and Sharon Rd. in Charlotte, NC. 7-Eleven convenience store with gas, Build to Suit, located on the corner of N. Wendover Rd. and Marvin Rd. in Charlotte, NC. 7-Eleven convenience store, Build to Suit, located on the corner of Rock Spring Rd. and Bynum Rd., in Forest Hill, Maryland. 7-Eleven convenience store with gas, Build to Suit, with gas located on the corner of N. Tryon St. and Craighead Rd. in Charlotte, NC. 7-Eleven convenience store with gas, Build to Suit, located on W. Broad St. and Old Springfield Rd. in Richmond, Virginia. 7-Eleven convenience store with gas, Build to Suit, with gas located on the corner of Williamsburg Rd. and Oakleys Ln., in Sandston, Virginia. 7-Eleven convenience store with gas, Build to Suit, located on the corner of Neff Ave. and Reservior St. in Harrisonburg, Virginia. 7-Eleven convenience store with gas, Build to Suit, located on the corner of General Booth Blvd. and Dam Neck Rd. in Virginia Beach, Virginia. 7-Eleven with gas, Build to Suit, located on the corner of Princess Anne Rd. and Lynnhaven Pkwy., in Virginia Beach, Virginia. 7-Eleven with gas, Build to Suit, located on the corner of Providence Rd. and Kempsville Rd, Virginia Beach, Virginia. 7-Eleven with gas, Build to Suit, located on the corner of N. Military Hwy and Norview Ave. in Norfolk, Virginia. 7,500sf O'Reilly Auto Parts Build Out/Tenant Upfit, Silver Lakes Center, Pembroke Pines, FL. 7-Eleven convenience store Build Out/Tenant Upfit, Catalyst, Uptown Charlotte, NC. 7-Eleven convenience store Build Out/Tenant Upfit, Gateway, Uptown Charlotte, NC.